Tempest is Halifax’s innovative Baroque music ensemble on period instruments led by internationally acclaimed violinist David Greenberg. 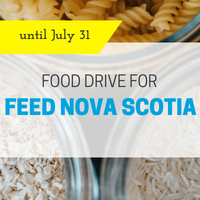 Other members of the group include Symphony Nova Scotia musicians Kirsty Money (vln/vla), Karen Langille (vln), Celeste Jankowski (vln/vla), Hilary Brown (cello), and Max Kasper (double bass). Since its creation in January 2001, Tempest has presented numerous concerts, has recorded for CBC radio and television, has collaborated with various artists. Tempest has been the orchestra-in-residence at the Boxwood Festival since 2006.